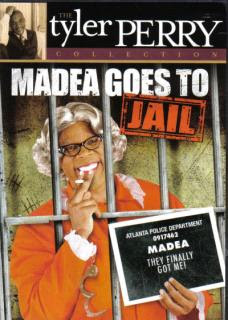 Tyler Perry s Madea Goes to Jail is still in no.1. Must be really good. Will wait for it in DVD/Blu-Ray. And those boys are doing well in their young age! I like to watch Hollywood movies, most of them on the list I have not watch. The Jo Bros at number 2? Where have all the tween gurls gone? The no 1 is pretty funny i believe.. wish to see this. Slumdog should be some more notches higher....!!! Or even take the thrown after its Oscar winnings.. what do you think mackie`? even after the hype, confessions is not doing that great.. I watched only 1 of those. Indeed .. It must be really good and amusing to stay in the top post until now... I had a downloaded file of this last week but the sound f-cked up so i was not able to watch.. I second the motion. I actually visit the blog of Makoy when I have the chance to download films as all the top notchers are listed here. SUch a help. Still, in this list, Only the Slumdog Millionaire I was able to peek at. I was also intrigued with the success so I made my own reviews... the reactions from my readers are varied.